Ajay Devgn is reportedly producing a Marathi thriller starring Nana Patekar in the lead role. Satish Rajwade will direct the film. Back in 2014, Ajay Devgn produced Marathi period film Vitti Dandu directed by Ganesh Kadam. Now, according to a report, Ajay Devgn has teamed up with Abhinav Shukla and actor Nana Patekar to produce a Marathi film, to be directed by Satish Rajwade. The film is touted to be a thriller and will star Nana as the hero. The movie is a thriller which revolves around Nana’s character. Talks are on with other Marathi actors. 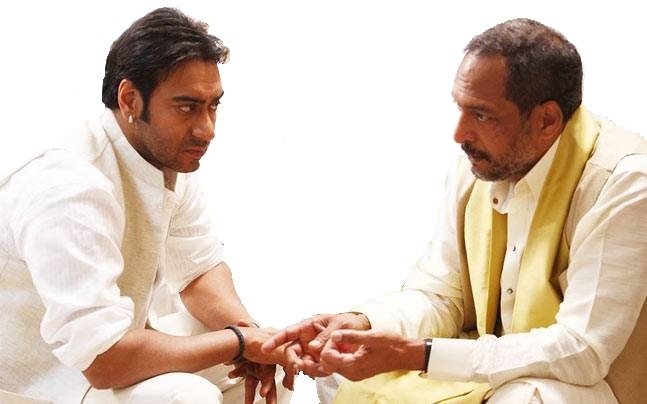 Nana Patekar and Ajay Devgn has acted together in several films such as Bhoot, Apaharan and Rajneeti.